Earlier in the year I started a new job. So I sought out like minded people who work there. I found a few who talk like gun guys, but you just get the impression that they are just blowing smoke. I discovered one guy who hunts and has an interest in carry. One night he comes into the shop and ask if I was going to be there for a few minutes. I say sure. He goes and comes back with a bag. Here he brought in a High Point that he had gotten for a good price. So I walk out to the parking lot with him and ask if he wanted see what I had in the truck. Sure he says. Open the truck and show him a few. Ever since then he or I would bring something in once or twice a week. Now he is asking how he can get a suppressor. And I have about four guys asking about carry guns. (09-07-2012, 11:38 PM)Normanvin Wrote: Earlier in the year I started a new job. So I sought out like minded people who work there. I found a few who talk like gun guys, but you just get the impression that they are just blowing smoke. I discovered one guy who hunts and has an interest in carry. One night he comes into the shop and ask if I was going to be there for a few minutes. I say sure. He goes and comes back with a bag. Here he brought in a High Point that he had gotten for a good price. That seems like pretty damn good work. Make sure to teach them not to point their handguns at others. The Four Rules and all. And we get to play with beer. One guy asked me If a 1911 kicks like a .45. Still some work to do. I took my buddy from work out shooting last weekend. I have just as much fun teaching people how to shoot as I do actually shooting. He went out and picked up a M&P 15-22 this week. I am going to take him out again on Sunday to introduce him to a shotgun and shoot some clays. It should be a blast! "That’s no reason to cry. One cries because one is sad. For example, I cry because others are stupid, and that makes me sad." I recently have had several people asking me about firearms, training and about carrying. They are all now concerned about the big spike in crime in the area. I now have several that i will be taking to the range for one on one training. Nothing like a good killing to open peoples mind. Our daughter had a co worker and her husband that were interested in purchasing a firearm for home security. She told them we might be able to help them get started in making a wize choice. They came here one afternoon and shot their first shots ~ you know how exciting that can be! They hit targets and their eyes light up!!!! Well the Daltons and EdS had to cancel (we truely missed seeing them again! ), but the Noobs got to meet up with RenegadePhoenix! and you know how he is with all his toys! They had a blast! made alot of noise, hit alot of targets, got a good all purpose round of firearms under there belts! The kids even got to learn about safety and shoot! Priceless! mrsmtnjack, proud to be a member of pa2a.org since Sep 2012. I have one co-worker that is semi interested. He asks me about it every once in a while, but being that he lives in MD, he is intimidated by the whole process of acquiring one. I have offered to take him out, but it would be about a two hour drive to my range from his house. Certified Range Safety Officer. 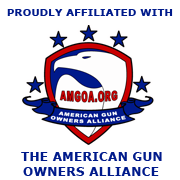 Proud member of the NRA, GOA and GSSF. PA2A since Sep 2012. I've brought a few people out shooting for their first time, but none from my work. Although I do have a coworker and her boyfriend that showed interest in coming shooting. It really is a blast to show people how to shoot and to share my favorite hobby with them. When the zombie apocalypse comes, I'll try my best to contain my excitement. (09-07-2012, 11:38 PM)Normanvin Wrote: Now he is asking how he can get a suppressor. And I have about four guys asking about carry guns. A suppressor for a Hi-Point? Does adding a suppressor turn a Hi-Point into a Low-Point? TaePo, proud to be a member of pa2a.org since Sep 2012.